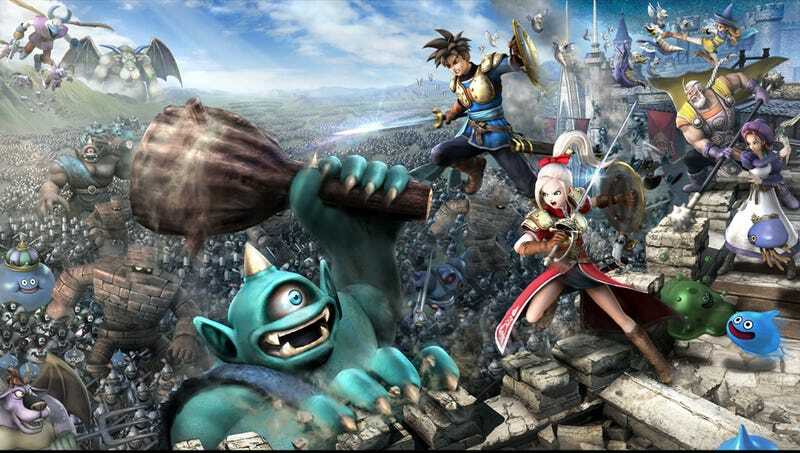 Recently, Japan saw the release of the latest Warriors-style collaborative game, Dragon Quest Heroes. The game sold well, but it also had the added effect of pushing PS4 sales to the top of the charts. Sometimes all it takes in an old classic. The Dragon Quest games have famously been a bit of a phenomenon in Japan. Back in 1988, when Dragon Quest III was released, thousands of people lined up in front of stores across the country. Children would cut school to buy the game, which led to every subsequent numbered game being released on a school holiday. The release of a new Dragon Quest game is a big deal, showing just how much power the brand name carries. Before the release of Dragon Quest Heroes, the PS4 was trailing behind the New 3DS and the PS3 in terms of sales, selling between 10,000 and 20,000 units per week. After the game came out those numbers doubled, with the PS4 shipping over 46,000 units. Console developers can tout impressive numbers and sleek demos, but in the end, it's the games that sell the console – and what can sell a game more often than not is the recognizable brand name. It looks like in terms of brand power, Dragon Quest has still got it where it counts. I suppose it also doesn't hurt that Dragon Quest Heroes is also a genuinely good game. The PS4 has a lot of high profile games coming out this month in Japan, with the release of Yakuza 0, Final Fantasy Type-0 HD, and Bloodborne, so it'll probably be interesting to see how the console sales numbers go over the next few months.